I'm Hank Lawson and I've been coaching X-C and Track at Lynbrook since 1994. 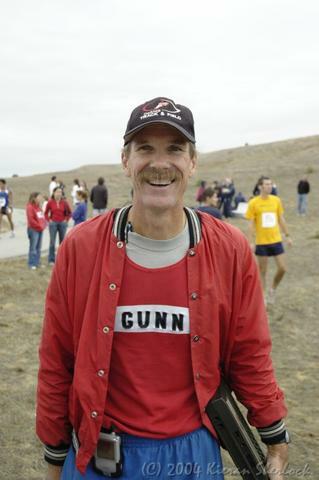 Before that, I coached at Gunn High School from '88 - '92 and ran there from '69 - '73. In between, I ran for De Anza JC, San Diego State, founded and coached the Hewlett-Packard Track Team in the SF Bay Area, worked and ran for Runner's World Magazine and my last stint was running/coaching at Maxtor Corporation. I'm very involved in Community Theater along with being a sound engineer at my kids school plays. Oh yes, I'm a programmer in my spare time, which also pays the bills. I still run and race competitively and plan to run with you all this fall.